Back sleepers make up approximately 8% of the population. It is often linked to snoring and increased risk for sufferers of sleep apnea. 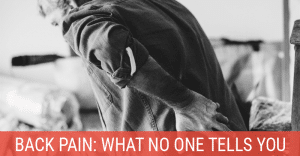 As such, it might be surprising that falling asleep on you back is considered the best position for preventing or reducing back pain, although it doesn’t guarantee a restful sleep. 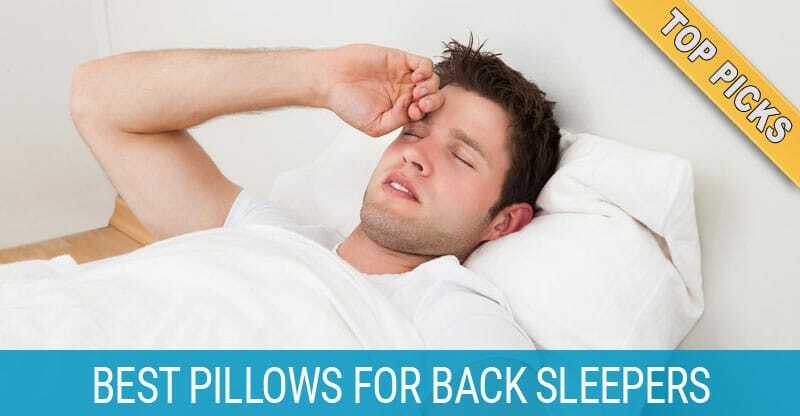 The best pillow for back sleepers will make sure your spine, neck, and head remain better aligned. A good pillow which keeps your throat elevated above your stomach also helps to reduce acid reflux. Finding a good pillow for sleeping on your back can be difficult. You will need a fair amount of neck support, but not as much elevation as a side sleeper pillow would provide. 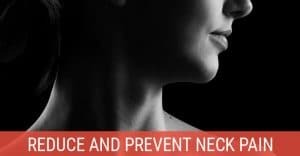 Too much height will cause a stiff or sore neck. In addition, back sleepers often shift to their side at some point in the night, so a good pillow must be able to accommodate both positions without requiring major readjustments. 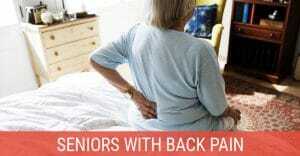 Note: For those who are planning on back surgery or recovering from it, sleeping on your back is by far the most comfortable position in most cases during recovery. For those people only, I would actually recommend the runner-up Snuggle-Pedic pillow over any buckwheat material pillow. For almost everyone else, the ComfySleep buckwheat is fantastic. Buckwheat hulls have been used in pillows by the Japanese for generations. ComfySleep has taken this traditional pillow design a step further. Available in four sizes, the pillows come with an extra pound of hulls which may be added to create the perfect firmness for your individual needs. These hulls have been cleaned without using any chemicals, leaving them with no unpleasant odors. While these pillows are hypoallergenic, it should be noted that people with severe grass-related allergies may suffer symptoms while using buckwheat pillows, as the hulls are from a type of grass. These buckwheat pillows may weigh between four and nine pounds, and while that might sound at first like a problem, owners of the pillow have found them to be less likely to slip when used for sleep or as a sitting prop. This also makes the pillow ideal for back sleeping and even excellent for side sleepers. The extra weight does mean they are not good for use as leg leg support pillows when sleeping on your side. In addition, the combination of hulls and cotton tweed case allow this pillow to breathe, keeping it cool and dry throughout the night. One notable downside to buckwheat pillows is getting used to the noise. Unlike foam or down pillows, buckwheat hulls aren’t silent and may be mildly annoying your first few nights. However, long-term users claim they became used to the sound quickly, and the extra support made it worth the adjustment period. The hulls also make this pillow more malleable than many other types available, while simultaneously being able to hold it shape throughout the night. I absolutely love using buckwheat pillows in the summer since they stay cool throughout the night. Memory foam is a popular solution to getting a good night’s rest, and pillows are no exception. The Snuggle-Pedic bamboo pillow combines the resilience of shredded, low VOC Biogreen memory foam with CertiPUR-US certified foam, making it both lighter and fluffier than solid foam. The mixture is encased in a Kool-Flow micro-vented bamboo blend cover to keep it cooler than typical memory foam. 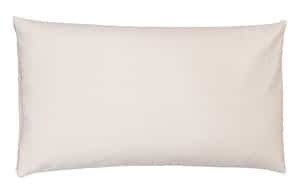 As an added bonus, this pillow is hypoallergenic and resistant to dust mites. 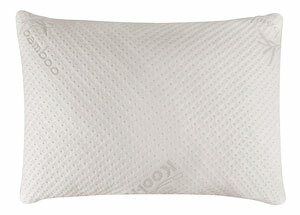 Unlike other types of pillow, this shredded foam pillow is ideal for consumers who alternate their sleeping positions. This is not a good pillow for stomach sleepers though. It simply has too much loft if you sleep on your front. The biggest recurring complaint is the hefty price tag for this pillow. On first glance, it appears quite expensive for a memory foam-based pillow. 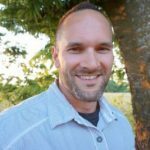 However the company offers a no-hassle 90-day money back guarantee and 20-year warranty. They also send you a prepaid shipping label, allowing you to send the pillow back for customization up to two times. One odd thing I experienced was that the first time I purchased this pillow, there was a built-in zipper that allowed you to remove some filling if the pillow was too high. This was a great feature. After ordering another pillow for my wife a few months later, there was no zipper. But as mentioned, it did include a prepaid label to ship it back and have the loft customized. Starting with premium 300 thread count hypoallergenic cotton, SNUZ has created a two-chambered, hourglass-shaped pillow with microfiber filling designed to benefit sleepers in all positions. The polyester microfiber filling remains soft without losing support during the night, and the pillow fits into either a standard or queen-sized pillowcase. This product is also one of the best pillows for those with neck pain that we’ve come across. 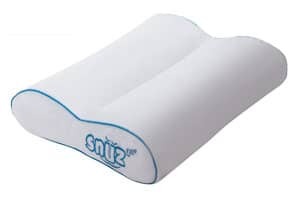 People who change positions during the night will find this pillow’s shape continues to provide support, while the two chambers help prevent the filling from shifting as you move. As the pillow has a seam down the middle, these chambers contain an equal amount of filling instead of one larger chamber, which is a common complaint with many similar pillows. The most common complaint about this pillow has been its softness. While it provides support and a degree of firmness which appeals to many, some consumers simply prefer a firmer pillow. 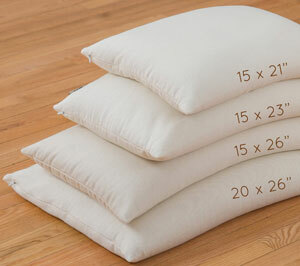 In some cases, users have also complained that this pillow feels flatter after regular use. However, the pillow provides improved comfort for people with back or neck injuries, and is also effective for back support when in a seated position, making it a versatile choice when searching for the perfect pillow.